​Rob has been a member of kef since its founding. He has appeared in their productions of Corpus Christi, ‘Tis the @#$-ing Season, and Artists Rising. Rob created the role of Mr. McQueen in the world premiere production of Urinetown. He made is off-Broadway debut in Fairy Tales, winning a Bistro Award for his performance. Other New York credits include A Clockwork Orange, Picasso at the Lapin Agile, Fleet Week! and Poor Super Man (FringeNYC Outstanding Performance Award). Regionally, Rob has appeared in Private Lives (Cape May Stage), Every Christmas Story Ever Told (Orlando Shakespeare Theatre), The Big Bang, The Mousetrap, Charley’s Aunt and Secrets Every Smart Traveler Should Know. Hilary Davies originally got her start with KEF as a marketing intern. A lifelong resident of NYC, she has been involved with theater in s﻿ome capac﻿ity since she was a child. She recently graduated from Temple University with a BA in theater and is currently the Major Gifts Intern in the developmental department of The Public. As kef's literary manager, she hopes to continue kef's mission of providing theatergoers with diverse, compelling entertainment. Her other interests include songwriting, cooking, and knowing all the words to Top 40 hits on the radio. 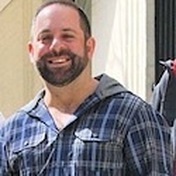 Paul Pilcz has all of the gratitude in the world for the opportunity to be a Teaching Artist for KEF Theatrical Productions Story Shifters Program. On top of that, to be given the opportunity to be a part of the first ever "Song Shift" the company has ever done is something that he is very proud of and an experience he'll hold on to forever. 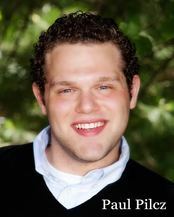 Paul received his BFA in Musical Theater from Montclair State University in 2012. 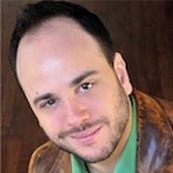 He made his Broadway debut as Harvey Johnson in the first ever revival of Bye Bye Birdie starring John Stamos and Gina Gershon with Roundabout Theater Company and has appeared on HBO's Boardwalk Empire starring Steve Buscemi and in HBO's five-part mini series Mildred Pierce starring Emmy Award winners Kate Winslet and Guy Pierce. You can find Paul singing and slingin' over at the world famous piano bar Don't Tell Mama on restaurant row in NYC. In his life, David Gurland, who hailed from New York City, had won a place as one of the most formidable openly gay singers in New York's music scene. Channeling cabaret experience and instincts into his pop/rock shows, Gurland merged talent, presence and humor, into an unforgettable entertainment experience. Gurland’s accolades include 7 MAC Award nominations, the MAC/Hanson Award, a Gay and Lesbian American Music Award Nomination, and four Bistro Awards, one of which recognized his first CD, released in 1999 to rave reviews. David has been seen at The Laurie Beechman Theatre, The Cutting Room, The Bitter End, Town Hall, CB’s Gallery, The Living Room, Don’t Tell Mama, The Duplex, and The Metropolitan Room, as well as out of town venues like Odettes in New Hope, The Gardenia in LA, the Manor in NJ and Twiggs in San Diego. David was also singing with the band UPTOWN EXPRESS, and had recently recorded a CD with them entitled 'Take You There’.